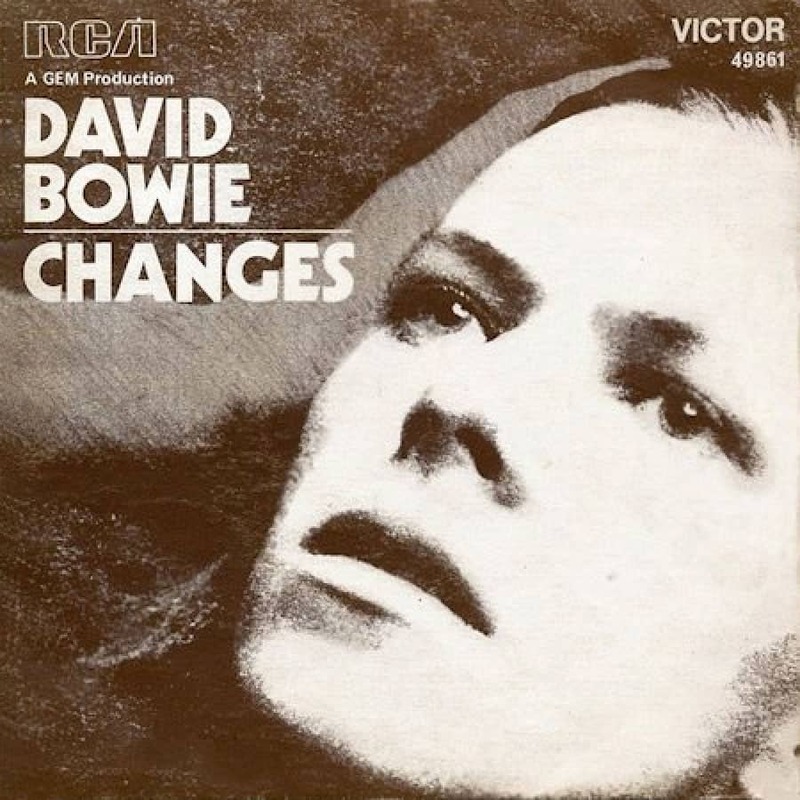 One of David Bowie’s signature songs, ‘Changes’ opened his fourth album Hunky Dory. Although never a hit single, it became one of his best-loved works, and remained part of his live set throughout much of his career. In October 1969 Bowie had been part of Changes ’69, a package tour headlined by Humble Pie, whose guitarist was Bowie’s former schoolfriend Peter Frampton. Also on the bill were Love Sculpture, Samson, and Griffin. Bowie had been contracted to perform a mime act during the nine-date tour, but quickly switched to a brief musical set for which he accompanied himself with acoustic guitar. Bowie’s first public performance of ‘Changes’ was at the Glastonbury Festival on 23 June 1971. He played it again during his triumphant return to the festival in the year 2000. I’d just written this one the first time I played Glastonbury, 1971. The song’s lyrics touch upon artistic reinvention and generational divides, major themes for Bowie as the 1970s unfolded. The opening lines – “Still don’t know what I was waiting for/And my time was running wild/A million dead end streets” – perhaps refer to Bowie’s various artistic dead-ends during the 1960s, where his efforts to find fame were limited as he searched for a unique artistic vision. I’ve always thought the line ‘Every time I thought I’d got it made, it seemed the taste was not so sweet’ was about ‘Space Oddity’. He thought he’d made it with that song; then he found out that he hadn’t made it after all. He was almost admitting it had been a false start. The song encapsulated the ups and downs he’d experienced, and made it clear that he was going to keep on changing until he got it right. Although it wouldn’t be until 1972’s The Rise And Fall Of Ziggy Stardust And The Spiders From Mars that he would become a spokesperson for a generation, Bowie’s ambitions and intentions were laid clear the previous year in the lyrics of ‘Changes’, in which he cast aside The Who’s war-cry “Hope I die before I get old” with his own: “Oh look out you rock ‘n’ rollers/Pretty soon you’re gonna get older”. He also co-opted Roger Daltrey’s stuttering vocal delivery for the song’s chorus. I guess it was me being sort of arrogant. It’s sort of baiting an audience, isn’t it? It’s saying, ‘Look, I’m going to be so fast you’re not going to be able to keep up with me.’ It’s that kind of perky arrogance of youth. You think you can get away with anything when you’re young.